You Can Never Have Enough Mic Cables! You always need more microphone cables. Even if you've got some already, chances are you're going to need more soon, and at this price you can't afford not to stock up on high-quality CBI LowZ Microphone Cables. Though often referred to as "microphone cables" because of their compatibility with microphone signals and mic-standard XLR connectors, these low-impedance XLR cables actually have many uses in the pro audio world, both on stage and in the studio. Besides providing a balanced link between microphone and mixer, they also connect direct boxes to mixers, preamps to mixers, mixers to power amps, mixers to powered speakers, outboard gear to patch bays, and so on. With all these uses, it's no wonder professional studios, mobile DJs, touring bands, and live venues always keep more than enough XLR cables around. CBI cables are simply an unbeatable value. You can nab a 20-foot cable for less than ten dollars. That's only 50 cents per foot of high-quality CBI cabling! These cables use 24-gauge wire for better flexibility, meaning they're easier to coil, and will lay more flat on the stage or floor. The flexible construction paired with the durable jacket makes for a cable that's less likely to develop shorts, line noise, or other problems common in lesser cables. For connectors, CBI uses nickel-plated XLRs of their own making. Nickel is resistant to rust, and also provides consistent, high-current connections. They prevent dropouts, combat signal degradation, and are rugged enough to withstand the cruelest abuses of live performance. Nickel -- along with the balanced connection that XLR cables provide -- also works to combat radio frequency interference. 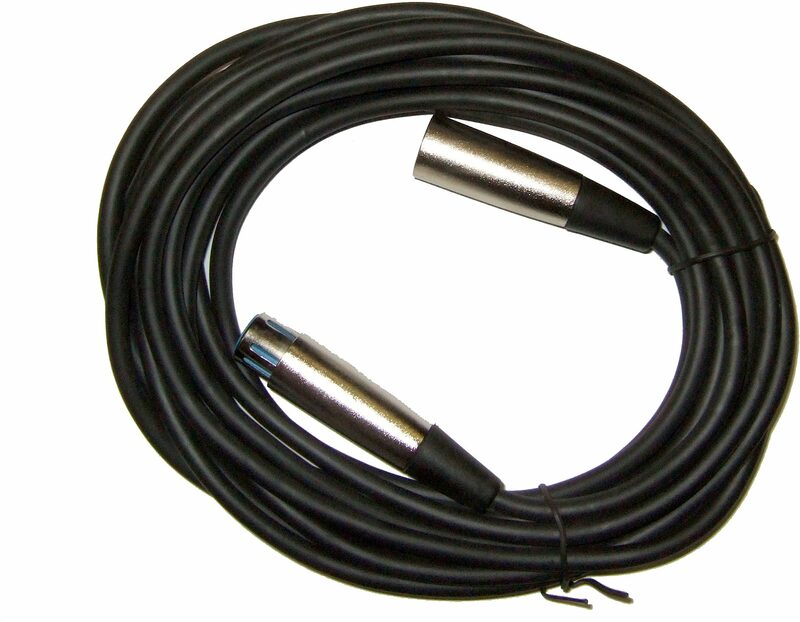 You know you need all the low-Z XLR you can get, and CBI LowZ Microphone cable offer incredible bang-for-buck. CBI 24 gauge balanced wire. Very flexible. CBI Nickel XLRs. "Steer clear of this one..."
Quality: This, by far, has to be the worst cable I've ever owned. It is a light gauge cable and the connectors are poorly made. It failed *just outside* the 30 day warranty period. It did come with my mic package (mic, stand, cable), so it was practically for free, which is why I'm not too upset. However, I would have gladly paid more initially for a better quality cable to be included. Even though I have not used this cable in performance, I can definitely say it is not road worthy. I've had cables that had really harsh treatment on the road and outlasted this one by years. Manufacturer Support: I could have pursued this as it was still covered under manufacturers warranty, but decided it wasn't worth it. David @ Zzsounds was helpful and offered me a discount on a different cable. My only disappointment was that I feel a 60 day warranty would be much more useful (which is why I shaved a point off). Style of Music: rock, country, folk, indie..
35 of 40 people (87.5%) found this review helpful. Did you? Sound: Used them last night, sound was fine. Feature: Mic cables, what can you say? Ease of Use: N/A Quality: Hey, they are economy cables. They do not appear sturdy enough for heavy-duty use. I used them for my drum mics, which have a fairly low amount of tension. Value: low price - quality proportionate Manufacturer Support: N/A The Wow Factor: N/A Overall: I am overall satisfied with the product.